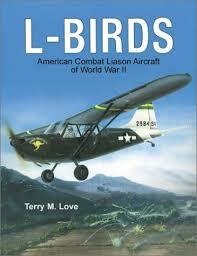 A great book on the seldom-told story of WWII liaison aircraft, known affectionately as "L-Birds" to military personnel. Along with an historical background explaining the multiple roles of these aircraft, you also get complete specifications for the most significant models including the Stinson L-1 and L-5, the Taylorcraft L-2 Grasshopper, the Aeronca L-3, the Piper L-4 and more... all the way up to the L-12. Carrier operations and unit histories are also included. 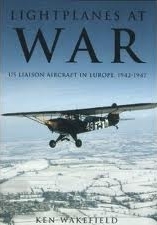 A great book on the seldom-told story of WWII liaison aircraft, known affectionately as "L-Birds" to military personnel. Along with an historical background explaining the multiple roles of these aircraft, you also get complete specifications for the most significant models including the Stinson L-1 and L-5, the Taylorcraft L-2 Grasshopper, the Aeronca L-3, the Piper L-4 and more... all the way up to the L-12. Carrier operations and unit histories are also included. 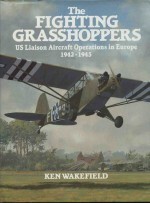 Along with an historical background explaining the multiple roles of these aircraft, you also get complete specifications for the most significant models including the Stinson L-1 and L-5, the Taylorcraft L-2 Grasshopper, the Aeronca L-3, the Piper L-4 and more... all the way up to the L-12. Carrier operations and unit histories are also included. 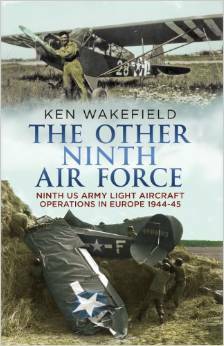 This book covers in detail the operations conducted by the light artillery aircraft of the Ninth US Army during the Second World War. It is a revealing and interesting insight into events of the time as recorded by an Artillery Air Officer in his daily journal. NC-87881, lovingly restored for author Lyle Wheeler, has the time of her life flying with fellow Cubs and their "humanoids" just as they had in the past --- without modern navigational tools. They represent a group of birdmen and birdwomen around the world who appreciate the Piper Cubs and their cousins, the Taylorcrafts, Aeroncas, Luscombes and many others. The Cubs, flying in formation, landing on grass runways and displayed at airshows provide excitement to those who enjoy the "lost art of low-and-slow, long distance flight." Bach's journey begins as he puzzles over design modifications for his airplane, a Piper Cub. Perfect designs--simple and practical--seem to come to him out of the blue. But one day when a design appears, along with a fleeting glimpse of an intriguing woman, Bach sets out to discover the source of the visions. The journey leads to a startling destination: a parallel universe where a British airplane manufacturer--Saunders-Vixen Aircraft Company Ltd.--makes superb biplanes and solves problems for perplexed aviators. There Bach meets Derek Hawthorne, his guide through Saunders-Vixen and the new world whose possibilities are just unfolding. There Bach also meets his muse, an unforgettable young aircraft designer named Laura Bristol, who teaches Bach the beauty of simplicity and practicality. 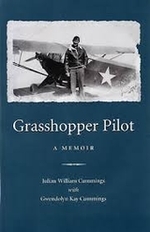 Julian W. Cummings began flying lightweight Piper Cubs as a young man and was recruited for the experimental and high-risk aerial reconnaissance unit of the U.S. Army's Third Infantry Division. In this memoir he chronicles his daring missions from first flights in the North African campaign through the end of the war. La 'Bible' des Piper, depuis les premiers aux plus récents. Roger Pepperell, bien que brittanique, est l'historien officiel de Piper Aircraft. Ce livre de référence est sans égal et contient des informations introuvables ailleurs avec le même niveau de détail. Originally printed in 1945, when all Piper production was restricted for military use, this "How to Fly a Piper Cub" booklet looked ahead to the post-war era. 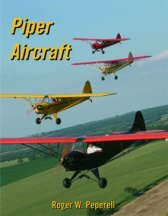 Printed in color with rich illustrations, spec sheets and b&w photos, it's a nostalgic piece of history that no Piper fan can resist. "What's a Piper Cub?" 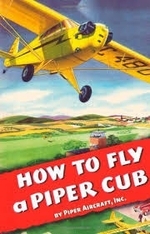 is a book about a family being introduced to the fun of light aircraft flying. A child's question leads to a family field trip to the local small airport. There a friend shows them his Piper Cub and offers to take them for a flight. Written and illustrated by pilots, the book uses aviation terms to describe the fun and sensations of flying in light aircraft. Children, ages five to nine, are the target age group for the book but it enjoys a popular following of aviation enthusiast of all ages.